To join the new Yelm Food Cooperatives’ equity membership download the application form below and drop it off at the store or mail it to Yelm Food Cooperative, PO Box 2583, Yelm, WA 98597. Membership is $100 Lifetime. You can pay all at once or $25/year over the next 4 years. 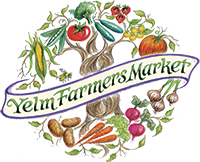 Hope to welcome you to the Yelm Food Cooperative soon!